A very happy client in Sweden, makes us very happy too. This client need a total makeover of her website and of course we build it in WordPress and made it responsive. Worked out to look exactly the way she dreamed of and it was a smooth and fast turn around. 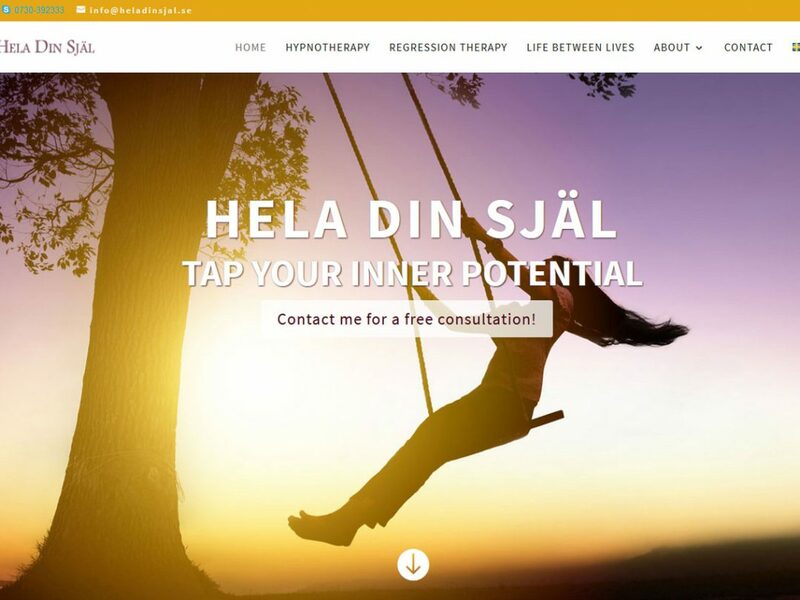 Hela din själ offers Hypnotherapy and Regression Therapy in Malmö / Sweden and Copenhagen / Denmark.